The growing acceptance of digital formats by consumers is a constant theme across the Nielsen SoundScan, units-based reports and the recent RIAA net sales shipments accounting. However, the focus is usually on tracks. But is the digital wave also boosting country album downloads? Answer: Yes. As our table shows, growth in the digital album format as viewed by percentage of total country album sales, appears to be pretty consistent, growing at about 5% per year. However, based upon the actual sales numbers the increases from 2010-2012 are more dramatic—21% and then 33%, respectively. Theses numbers are based on about the first three months of each year, YTD. As sales sleuths know, it’s the final quarter of each year when the registers ring robustly and mouses mightily move. So we’ll revisit this chart later in the year to see if the heavier sales flow affects digital percentages. My guess is we will see the current 33% increase (2011 to 2012) grow larger by year end, especially with shrinking shelf space for music which is forcing consumers online. We should savor the positive territory, because next week we will likely slide out of the plus side of the graph. Why are sales off? The economy and/or having less product in the stores isn’t helping, but probably the primary fault lies in our format’s weak release schedule YTD. There simply haven’t been enough register ringing recordings released and the results are showing. We used to see a lone debut album beat those numbers! However, before we wring our hands and begin fasting, realize that the record labels are likely plotting some monster-sized mashups for later in the year (at least we hope so). (Rascal Flatts‘ Changed arrives April 3, a new Carrie Underwood, Blown Away will hit bins May 1 and Kenny Chesney is set to sing on June 19 with an as yet unnamed project.) Also, Lionel Richie’s duets set just hit stores and is already getting predictions of first week sales in the 150k range! Highlights for the week include Casey James‘ No. 2 country debut with about 14k units. Luke Bryan however beat out James to grab the No. 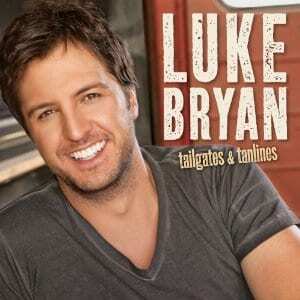 1 position with 18k units of his Tailgates & Tanlines, on the charts now for 33 weeks. Mention must also be given to the Hunger Games Soundtrack which debuted this week at No. 1 on the Top 200 chart scanning 175k units. The soundtrack includes Nashville artists such as Taylor Swift, The Civil Wars and Miranda Lambert. As has been the case lately, the Digital Genre Country Tracks chart seems to be where the action is. And this week it’s all about Ms. Swift who owns the No. 1 and No. 2 positions with Hunger Games tracks “Eyes Open” (176k debut) and “Safe & Sound” (93k). Nailing No. 3 is Carrie Underwood with “Good Girl” (69k). New artists with momentum on the tracks parade include Kip Moore’s “Somethin’ Bout A Truck” (No. 7; 46k) and Lee Brice’s “A Woman Like You” (No. 5; 57k).